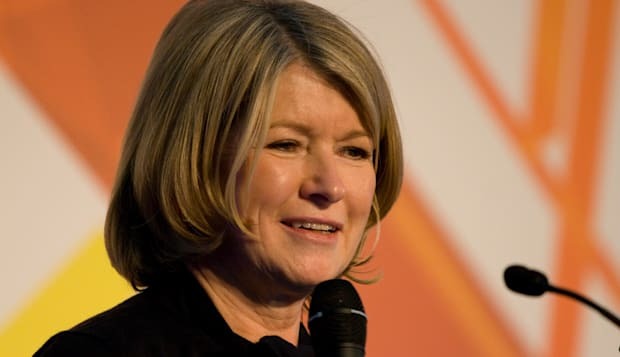 Nearly 50 employees got the axe when layoffs hit Martha Stewart Living Omnimedia on Wednesday, only a week after CEO Lisa Gersh left to head up Gwyneth Paltrow's rival lifestyle brand, Goop. MSLO workers got a major shock when the Daily News's Confidenti@l blog leaked the information, which had been well-protected within the company. The official news came at a town hall meeting attended by Stewart herself, where former employees were said to be in tears. The marketing and sales departments were allegedly hit hardest. "They want [laid-off workers] to keep coming in through Oct. 31, then they get [paid for] 60 days after that, but I can't see anyone going in," a source told the Daily News, who added that the fired employees were expected to help the company through its transitional phase. "I don't see that happening," the source said. Layoffs previously rocked MSLO in 2012, when 70 workers received pink slips just before the holiday season. Another 100 were cut in 2013. This time, some former employees will allegedly be transferred to the Meredith Corporation, which will take over some of MSLO's marketing-related projects. But whether they'll last there is up for debate. "I can't imagine Meredith will have a use for all those people. It's like 10 percent of our workforce they're expected to absorb. I think those people have to know the writing is on the wall." The news comes a week after former CEO Lisa Gersh left MSLO to lead Goop, the rival lifestyle company founded by Gwyneth Paltrow. Competition between Stewart and Paltrow has taken a couple of vicious turns in the media, with Stewart naming a pie recipe "Conscious Coupling" in reference to the star's split with Chris Martin.